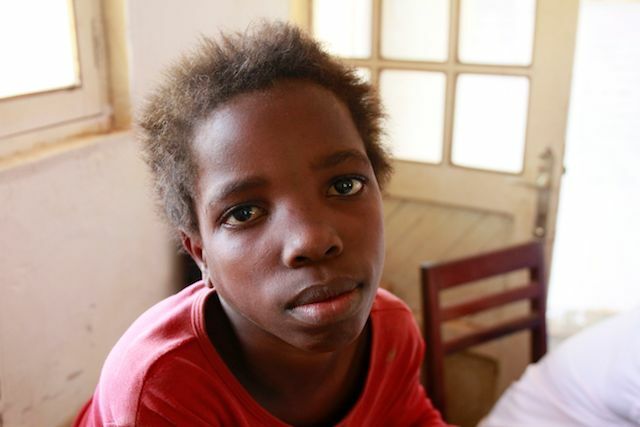 “Simone” was abandoned by her parents when they fled the village of Mambasa during a rebel attack two years ago. When my wife and I met her she followed us hoping we would take her with us. We had no choice but to leave her too. I don`t know what happened to her after that. 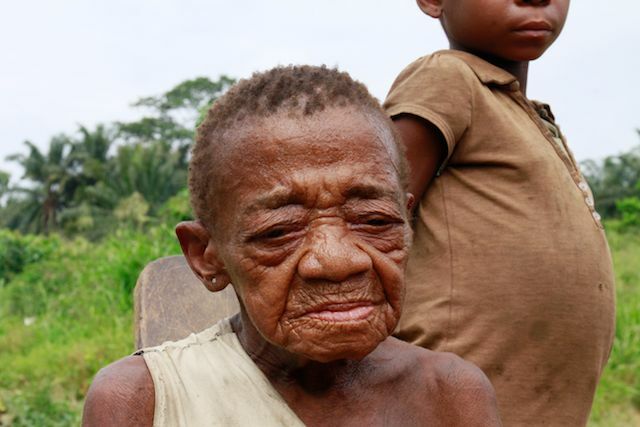 While reading David Van Reybrouck`s brilliant book called „Congo – a history“, Mr. Reybrouck brought to my attention the life expectancy in DR Congo, which is about 45 years. Not because people die at 45, but because child deaths are so frequent that it lowers the total average. According to the World Health Organization (WHO), 6 out of 10 children will never live see their 5th birthday. 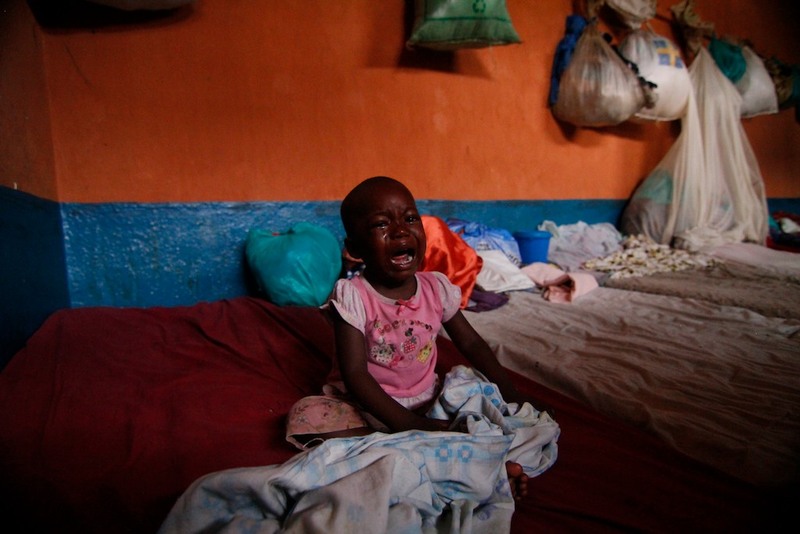 WHO also estimates that over 400 children die every day in the Congo, where half of them die from Malaria. The CIA Factbook claims that out of 1000 live births, 73.15 children die before reaching the age of one year. 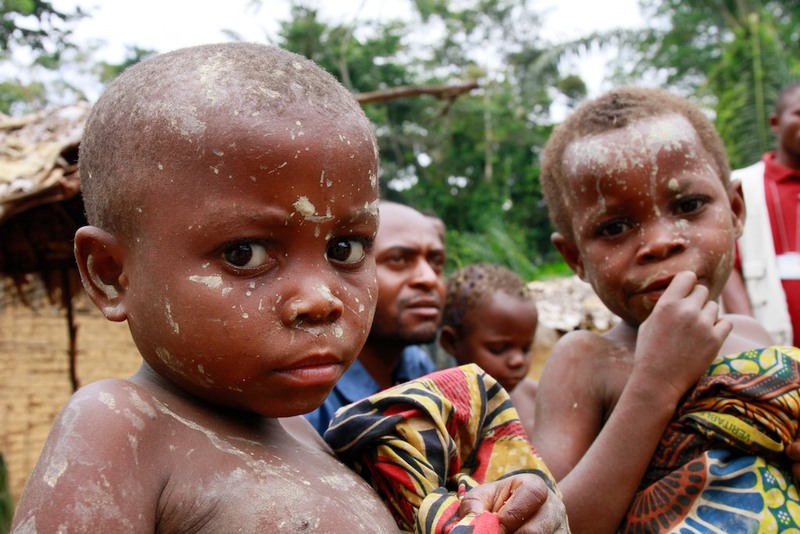 Some cool pygmee children in the rainforest of Mambasa. Still living in a hunter-gatherer community, money to pay for medicine is hard to come by – which makes these children even more vulnerable to Malaria and malnutrition. So why does this matter? Why is saving the children in the poorest part of the world important? Is it just to save a life, a life that is adds to an already overpopulated continent? The short answer is no. Hans Rosling is a Swedish medical doctor, academic and statistician who runs Gapminder.org. He suggests the opposite. In a world with over 7 billion people, the families in the richest part of the world, 5 billion only get 2 children per family. While in the poorest part with 2 billion people, families get an average of 5 children per family. By lowering child mortality, poor families no longer need to compensate with more children then they can afford, and such reduce child mortality in this part of the world. I took this photo in a prison i Bunia, where this girl lives with her mother and 30 other women and children in one room. We were told she has fever. They had no money to see a doctor. Making mosquito nets against Malaria available for everyone. Distributing vaccines and Antibiotics to vulnerable groups, in isolated rural districts, which are unable to get to the hospitals, either because it`s to far or too expensive. Handing out contraceptives to prevent the spreading of AIDS. Luckily Great Actions for Development have local volunteers who do not forget. These are their time-consuming duties and this is their normal life – because they themselves know they are lucky, to still be alive. The past weeks we’ve spent with the oldest and youngest among us. Most of us have lost one or two family members in the Great Lakes Conflict and the aftermath of it, but these children and elders have lost all of them – one by one or all at once. It takes so little to make a difference for them, but over the years we have also realized how little it takes for something to go wrong. For instance, because of rheumatism, eyeproblems and headache 50 % of the elders were not able to carry the rice and salt, we gave them, back home, since they have to family members to help them. 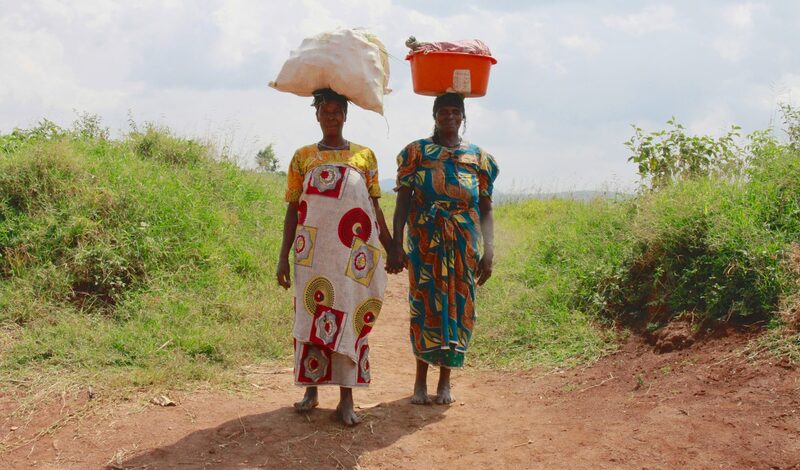 Therefore we are forming 12 groups of vulnerable elders in the 12 quarters of Bunia. Five of them were already established in March. Each group consists of 64 to 102 elders. Hopefully it will make it easier for us to stay in touch with each of them and thereby measure success more easily. Last but not least I hope it will encourage fellowship between elders and their local community. Retirement is surely not an option, so we intend to organize money generating activities for those who can work. The next week we’ll spend examining suitable work, demand and consumption. 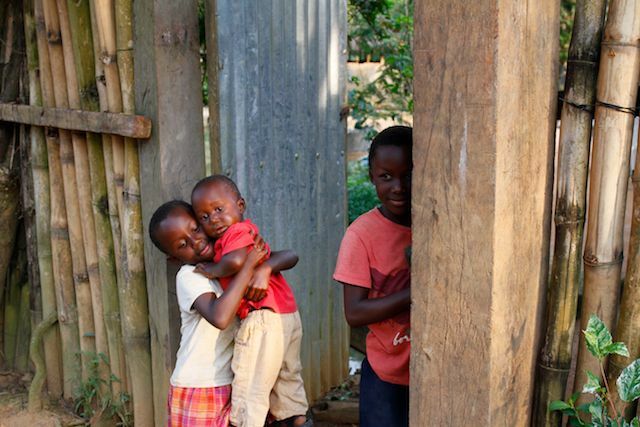 The past time the rebelgroup ADF NALU has caused a small wave of new orphan children in North Kivu, whose parents were kidnapped by the rebels. We have spent the past month indentifying each of them and their living conditions. Some of them were clinging to us, refusing to let go of our hands when we had to leave. Others were very cautious and refused to speak. I know the feeling – I don’t want to let go of them, knowing what might happen to them, or us, before we’re due to meet again. Yet I have to be cautious and not make promises we cannot keep. As a small local NGO we never know from month to month if we can make enough money, or recieve enough donations, to carry out our plans. Even in Bunia, currently without active rebel groups, we have registered 395 orphan children. They have no one to pay their tuition fees and school books. They beg after school. To many of them extra funds are acute to continue education. Since we don’t have enough means to help all 395, we really need to find a sustainable way to support them. I truly appreciate any perspective in the commentary field below or in e-mail. 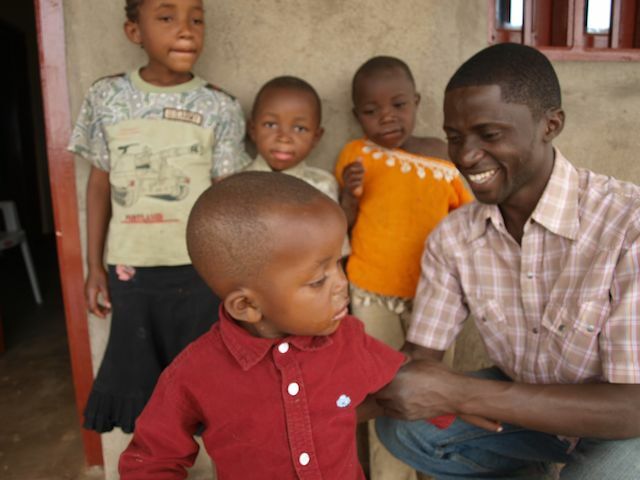 Great Actios for development-founder, Jeplock Kasika, together with orphans from Mambasa in Province Orientale. – Their future depends on a stable security situation and so does mine, he says in this blog post. – Frankly speaking I do feel afraid and helpless sometimes. We have no helicopters to evacuate us and without money there is no safe haven to flee to, says GAD’s congolese founder, Jeplock Kasika in this post. The leader of the M23 militia is now killed. To us who worked and with his threat for years, this is a tremendous relief. But under the cautious optimism we know there are countless more loose canons waiting for their next move. Yesterday, for instance, we heard more stories that National Army for Liberation of Uganda (NALU) recruit local people by force in the Rwenzori alps between Uganda and DRC. More than 68 villages are affected. We have experienced the same in Mambasa, and I know all to well the feeling those children have who are now left alone without a father, mother or brother. I wonder how foreign politicians would respond to this if it was their wives or their sons who were kidnapped by such rebels. The first part of February appeared calm after a numerous security crises accompanied by murders and other perilous acts in the Eastern parts, especially in territory of Beni. This is due to the Sokola operations of fighting the rebels of ADF-NALU. The territory of Mambasa remained quiet in spite of a small insurrectionary movement on behalf of some elements of the Congolese army that tempted to paralyze some activities on February 18th in Mambasa. Luckily this was averted by those faithful to the FARDC. Frankly speaking I do feel afraid and helpless sometimes. We have no helicopters to evacuate us and without money there are no safe havens to flee to. How do you handle fear in your daily lives where you live? What are the biggest threat to a good life where you live? Greetings from Jeplock Kasika, founder of GAD in Bunia, DR Congo.